ESCUINTLA CITY, Guatemala – The Fuego “volcano of fire” south of Guatemala City covered entire villages in ash after a June 3 eruption that killed at least 69. BP Photo. ESCUINTLA CITY, Guatemala – Southern Baptist mission groups from the United States ministering in Guatemala are safe after a volcano erupted on June 3. One mission group from Union Hill Baptist Church in Holts Summit was working in an orphanage about 70 miles northwest of the eruption when it occurred, according to KRCG 13. Associate Pastor Jason Glenn told KRCG that the group was unaware of the disaster until they saw the ash and residue in the sky. When he learned it was from a volcanic eruption, he was worried. Another mission group in Guatemala was much closer to danger. 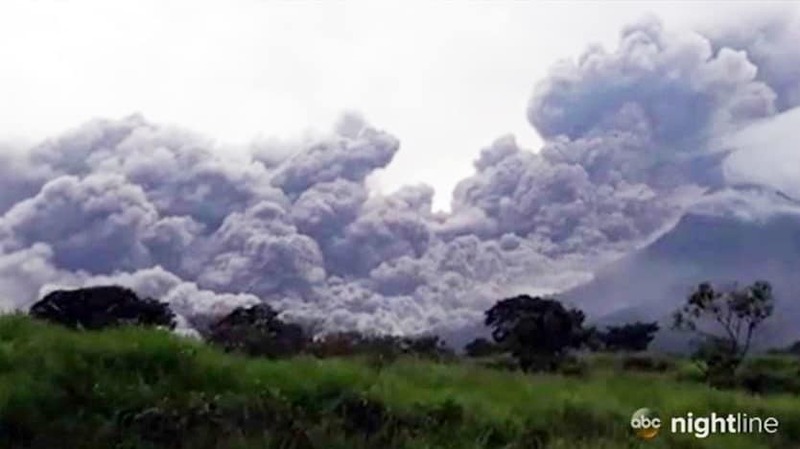 According to the Baptist Press, a mission group from Bear Cove Baptist Church in Sparta, Tenn., was in Escuintla City when the volcano erupted – less than 10 miles away from the volcano itself. Justin Wesson, the youth minister for Bear Cove Baptist Church, told the Baptist Press the group was originally there to evangelize urban youth, but their focus has now expanded to also provide relief. The eruption of Volcán de Fuego, which translates to “volcano of fire,” has already taken a number of lives. According to the Associated Press, as of Thursday afternoon (June 7) there have been 75 confirmed deaths, with 192 still unaccounted for. Both mission groups are completely safe and plan to return to the United States by the end of the week, but recovery, rescue, and relief efforts will continue.